I'm Steve Macdonald and I'm a partner at Formatec Inc., an IT consulting company specializing in cross-platform enterprise mobile solutions. This blog contains anything I think might be useful or interesting to other professionals in the same field. I've been a big fan of Xamarin for about a year now. As a long-time C# developer with a desire to develop apps for iOS and Android devices, it's been a fantastic alternative. 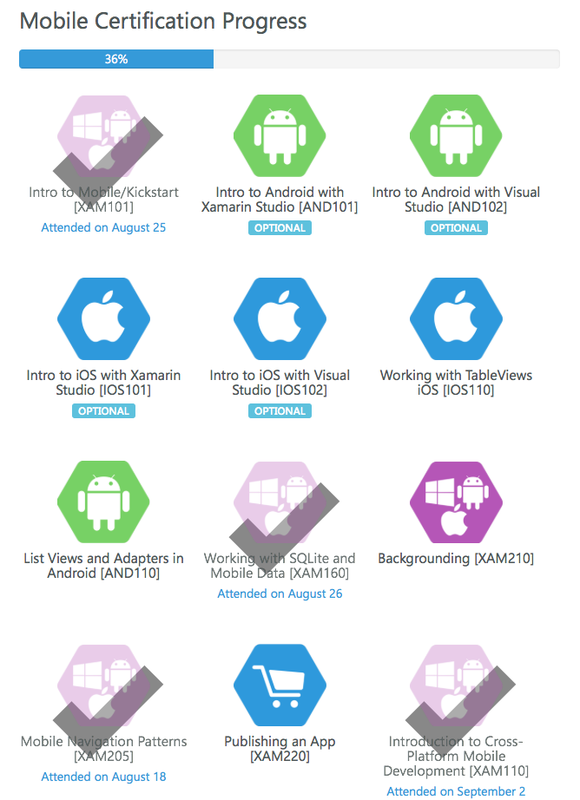 Recently I decided to up the ante and plunk down my hard-earned cash for some Xamarin University courses. I'm only part-way through (four courses so far) but they've done a first-class job. The syllabus is clearly presented and it is simple to sign up for classes and have them show up on your calendar. The classes themselves are just deep enough to challenge the average professional developer without being so difficult as to turn people away. I've learned numerous useful new techniques even in just four classes, even though I've been using Xamarin for a while already. Each class is from 90 minutes to three hours in length. Students may ask questions and chat with the instructors. There are also office hours available if you'd like to spend further time with the instructor one on one. Overall it works extremely well! This kind of professional education has come a long way since my days in Silicon Valley during the dotcom boom. One famous startup for which I worked (that will remain nameless) had raised $35 million but still found it extremely hard to attract good people. It was apparently especially hard to attract good instructors. I attended a class along with about twenty other developers who were sent by a variety of Fortune 100 companies. The class could not have been worse. The instructor knew less than zero about software, however he had apparently been to clown college as he decided that throwing a foam ball at students was a good way to keep us on our toes. At one point he pelted a stern-looking woman from a large retailer. The foam ball bounced off her shoulder and landed on the floor. Without so much as a word she packed her laptop and walked out the door (to the airport, as far as we knew). So suffice it to say I've seen my share of poorly executed training programs. I have some appreciation of how hard it is to get it right, and Xamarin has so far been getting it right, big time. © 2014 Formatec Inc.. Simple theme. Powered by Blogger.